Agnieszka Kossowska comes from Krakow, a medieval city and jewel of Eastern Europe. She graduated from the Academy of Fine Arts in the Faculty of Restoration and Conservation of Works of Art in Krakow. She subsequently got her specialization in the restoration paintings on canvas at the Royal Academy of Fine Arts in Copenhagen. In Italy, she worked as a restorer of old paintings of the Venetian area between 500 AD and 600 AD, primarily at the request of ecclesiastical patrons, as well as on the basis of commissions from the Superintendence for Cultural and Artistic Heritage of Veneto (Soprintendenza per i Beni Culturali e Artistici del Veneto). A fervent and tireless researcher, for several years Kossowska has studied the ancient treatises on illuminated manuscripts, as well as the techniques for their production. Kossowska has exhibited her works as part of the exhibition ‘Miniatura Viva’ at the Biblioteca Riccardiana of Florence, which was organized by the prestigious magazine ‘Alumina. Illuminated Pages’. In the 52nd edition of ‘Alumina. Illuminated Pages’ there is an interview with Kossowska titled ‘Magic Hands’. Agnieszka Kossowska has published a trilogy on historical writing for the publisher Kellermann Editore: ‘Il Quaderno di Calligrafia Medievale: Onciale e Gotica’ (The Exercises. 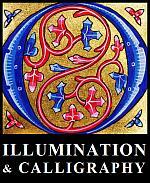 Medieval Calligraphy: Uncial and Gothic), ‘Il Quaderno di Calligrafia Cancelleresca’ (The Exercises. Italic Script), and ‘Il Quaderno del Corsivo Inglese’ (The Exercises. Copperplate Script). Every year she presides as an honorary guest at the national bookfair ‘Libri in Cantina’ at the San Salvatore’s castle in Susegana, where she also runs workshops in medieval handwriting. Kossowska has reproduced an copy of the ‘Grimani’s Hymnary’ of 1481. The original, from the collection of Bishop Marino Grimani, is currently housed in the manuscript collection of the Seminary Library in Vittorio Veneto. The 2014 copy, made by Kossowska with traditional medieval materials at a scale of 1:1, is housed and exhibited at the Biblioteca Antoniana in Padua. For Franco Cosimo Panini Edizioni D'Arte she reconstruted two missing pages of the illuminated manuscript ‘La Grammatica Sforza’ of 1496, which is part of the collection of the Biblioteca Trivulziana in Milan. Agnieszka Kossowska currently teaches the techniques of writing and illumination, while also working on international projects of importance for world artistic heritage. Tomasz & Mariusz Kaleta for the construction of the website, to Vincenzo De Mase for photography and the technical organization.